Atlantic City – On November 20, 2010, Goossen Tutor Promotions, along with DiBella Entertainment joined forces to bring Sergio “Maravilla” Martinez vs. Paul “Punisher” Williams II – The Explosive Rematch, to Atlantic City’s Boardwalk Hall. When Paul Williams and Sergio Martinez clashed in December 2009, the scene was different. Paul Williams put the word out that he would fight everyone from welterweight up through middleweight. After having a middleweight title opportunity fallout twice because of a recurring staph infection suffered by then-champion, Kelly Pavlik, Williams continued looking for challenges. Unfortunately, with his reputation of volume punching, tall lanky stature, and a decent chin, his phone wasn’t ringing off the hook from boxing’s best. Sergio Martinez was relatively in the same boat as Williams, finding it harder than it should be to find willing opponents. Needing opponents, the avoided faced the avoided in what turned out to be one of the most entertaining fights of the year. True to his word, Williams, who fluctuated in fighting weights, accepted an opportunity to face Martinez, who was the reigning 154lb champ, at a catch weight. Both scoring knockdowns in the first round and throwing non-stop punches throughout, each lived up to their reputations of bringing their best and leaving their all on the table. When it was all over, Williams was declared the winner by majority decision in a fight that could have gone either way. In the months since their first bout, significant changes took place. Williams was initially on the shelf healing from a cut he received in his first bout with Martinez. That setback opened the door for Martinez to step in and step up to challenge middleweight champ, Kelly Pavlik, who was given the green light to return after his staph infection issues. Martinez made the best of his opportunity by beating Pavlik at Boardwalk Hall in Atlantic City in an exciting fight that saw the defending champ bloody and outgunned. 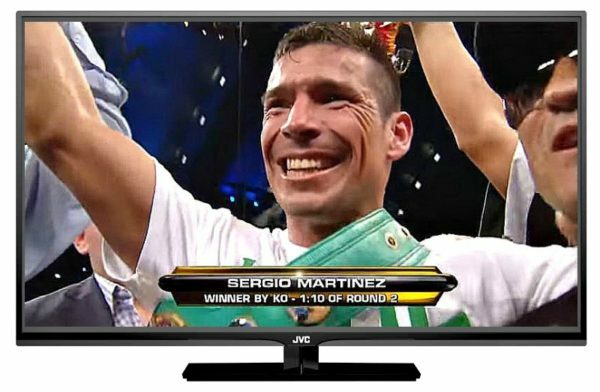 Sergio Martinez was now the new middleweight champion of the world and ready for another challenge. Williams faced Kermit Cintron upon his return, winning a 4th round technical decision after the bout had to be halted because of an injury suffered by Cintron when he fell through the ropes. After the win, Williams was ready to finally get his shot at the middleweight crown. Just over eleven months after Martinez and Williams faced one another in the smaller Adrian Phillips Theater within Boardwalk Hall, the main arena played host to this anticipated rematch. Clearing up the controversy of who was the better man was an opportunity that each looked forward to. When it comes to boxing, let’s face it, sequels don’t always live up to the hype and actual substance of the original. Granted, there have been some rematches that have been so good, even a third match-up is yearned for and even warranted. Then there are those rematches that have left audiences feeling upset, as if the promoters pulled a proverbial bait and switch maneuver, definitely not giving what was advertised. With the punch-output, heart and determination that these two have shown, not only against one another, but each and every night out, it was so hard to believe that this rematch wouldn’t live up to the hype. From the opening bell, these two fighters looked to pick up where they left off from their first meeting. Both Williams, 39-1 (27kos), and Martinez, 45-2-2(24kos), started throwing bombs from the offset to the delight of the screaming fans in attendance. At the end of the first round, we all knew we were watching something that would be as special as the first. Martinez’s strategy of smothering Williams and matching him punch-for-punch was a decent tactic, but after the bell rang to start the second round, the defending champion made the subtle change of periodically stepping back. It allowed him to in turn, not smother his own punches. With Williams in pursuit and looking to land, Martinez started to land with his overhand left. After an exchange, Martinez found room, stepped back and landed a left at the2:03 mark that brought everyone in Boardwalk Hall to their feet, but dropped Williams for a count that could have gone well past ten. The shot was one heard around the boxing world, garnering knockout of the year honors for 2010. On this night, both Sergio Martinez and Paul Williams made history…Atlantic City History.